New Flood Insurance Rules & how your Advocate can benefit you! - Scarsdale Premier Insurance Agency | Advocate Brokerage Corp.
New Flood Insurance Rules & how your Advocate can benefit you! The Federal Emergency Management Agency’s (FEMA) National Flood Insurance Program (NFIP) is in the process of implementing congressionally mandated reforms so that homeowners will have access to adequate protection at rates they can afford. Let’s start with the good news. FEMA is putting caps on the cost of flood insurance for those who have a primary dwelling in a flood zone. What FEMA considers affordable is not necessarily affordable. At Advocate we understand the frustration our clients are feeling and will go above and beyond to ensure we provide the information our clients need to make informed decisions. To that end, below is some information to help you understand the reforms and what they mean to you. FEMA is in the process of revamping its Flood Insurance Rate Map referred to as FIRM. Many pre-FIRM buildings located in high-risk flood zones have flood insurance policies with subsidized rates. These subsidies will be phased out over time. The rate of phase out will depend on the type of policy. How Advocate can help: We will review your policy and advise you as to the subsidized rates, the phase out period and any recommendations we may have based on your particular property! With all of the reforms and nuances of NFIP, purchasing flood insurance is quite confusing! Especially when it comes to the grandfathering of renewal policies. The bottom line is that although the grandfathering rule is still in effect, policies will be issued and renewed at subsidized rates if the flood zone designation changes from preferred to standard on the new map. The old rates will no longer apply for properties located in a high-risk area. How Advocate can help: This is our business and we deal with these reforms on a daily basis. Working with us means you have someone on your team who will explain how your property is designated on the new map and what that means to your rates. Customers who have second homes will see at least 25 percent annual increases at policy renewal until premiums reach their full-risk rates. In addition, the new law raises maximum residential deductible limits from $5,000 to $10,000, so out-of-pocket can be much higher if you have a loss. How Advocate can help: We will walk you through the process and provide as much information as necessary to help you understand the policy increases. We understand how expensive the rates are for a coastally exposed secondary dwelling and will be by your side as you work to ensure your investment remains protected. The bank holding the mortgages on your home, especially those in high risk areas, are very concerned with the new regulations. Under the new FEMA rules, if homes in high risk areas don’t have adequate flood insurance, they could be fined. If you receive a notice from your mortgage lender, it is important to address it immediately. 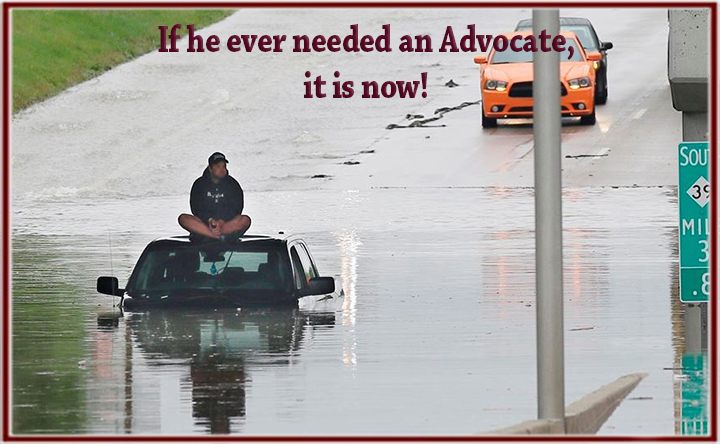 How Advocate can help: We will review your policy against the new regulations and find out if you are adequately insured. We will help you communicate with your mortgage company to help avoid any fines and get you the coverage you need. If everything above sounds confusing and the attached information sheet doesn’t help to clarify things, don’t worry. We are your Advocate. Set an appointment with your advisor and together we can make sure that you are getting the best flood insurance you can afford that will protect both your primary residence and vacation home.